Snapchat: Should brands invest in the latest social media craze? Arriving on the scene just under three years ago, Snapchat, the social network that allows users to send image and video messages that disappear within ten seconds, is now said to boast an active user base of over 30 million and last week sources reported that funding talks with Alibaba could value the business at up to $10 billion. Whilst a global user base of 30 million+ pales in comparison to the reach of other marketing channels, brands are taking notice. This is because the platform provides organisations with a relatively unique opportunity to engage with hard-to-reach youth audiences and to gain their undivided attention for those 10 seconds before the message self-destructs. Last October’s launch of Snapchat Stories – which allows users to create a narrative by linking a series of messages or “snaps” – has been instrumental in drawing brands to the platform. Not only do the stories live for up to 24 hours, but they also provide an easier way for brands to message all followers at once rather than a few at a time. Early adopters include the likes of HBO, American Apparel, Audi, MTV, McDonalds, Evian and Intel. How are brands already using Snapchat? Snapchat is characterised by its visual, fun and ephemeral nature and by the spontaneous and unpolished images and videos that are shared. For some brands this provides a great opportunity to give consumers a glimpse of the light-hearted personality behind the brand. 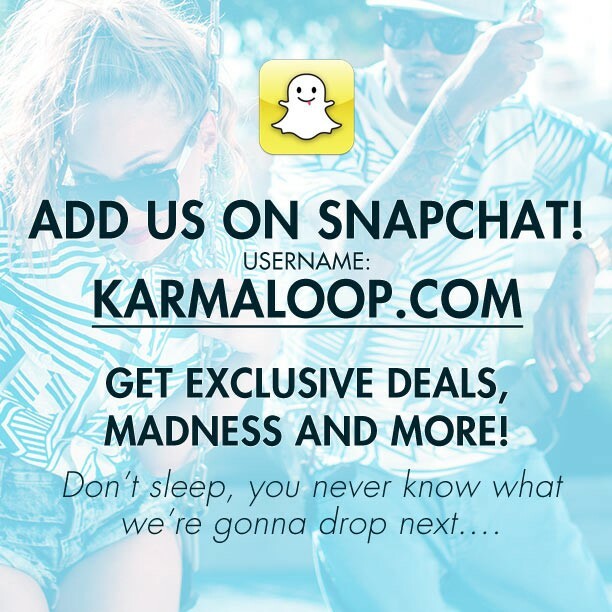 Online retailer Karmaloop is a one example of this, using the platform to share behind-the-scenes views, product launch news, and office antics. In-the-moment images and videos make Snapchat ideal for behind the scenes clips supporting deeper fan engagement with brand personality. A number of US sports teams in the NBA and NFL now use the platform to send videos and images of training and other behind the scenes moments. The New Orleans Saints were one of the first. The limited lifespan of messages can effectively generate a sense of urgency and excitement around exclusives. MTV frequently use Snapchat to deliver exclusive content and news to fans. In April they posted exclusive pictures from their MTV Movie Awards show, and last month announced the nominees for their Video Music Awards on Snapchat first using a series of 10-second videos. 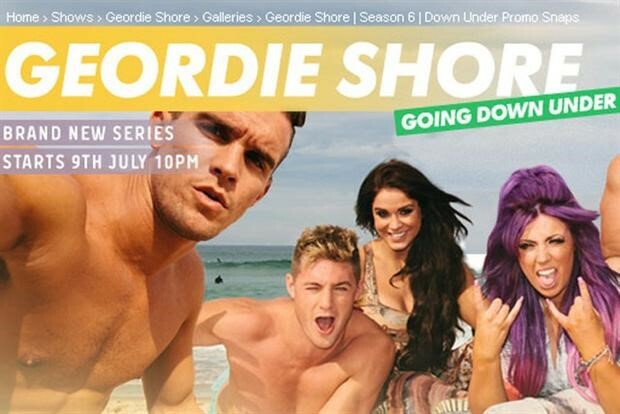 The MTVGeordieShore account was similarly created last summer as a direct marketing channel to send exclusive teasers to fans in the lead in to Season 6. This sense of urgency and excitement can also make Snapchat an effective platform for competitions and direct calls to action. Brands run contests which can often involve either sending snaps to the brand, for example selfies with products, or taking screenshots of brand snaps to win. 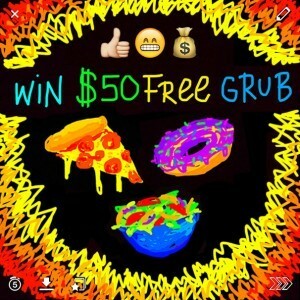 Earlier this March GrubHub ran a SnapHunt where they posted a new Snapchat challenge every day for a week. Ten winners chosen at random each day received $50 free grub. Last summer, the Cooperative Electrical was one of the first retailers to use Snapchat for promotions offering students £30 off laptops in the lead up to the new academic year. Discounts were offered through a promotional code in the snap which users would have to screenshot or note down before the message self-destructed. Use of promotions to engage and build audiences has since continued to grow, including Betfair launching their Snapchat account earlier this year by offering exclusive odds on football fixtures. Perhaps one of the most exciting recent examples is Audi’s sponsorship campaign for US TV series Pretty Little Liars. Following their first high-profile Snapchat campaign during the Superbowl, Audi are now further investing in the platform running teasers in the lead up to shows by giving clues to plotlines as well as engaging with followers in real-time during the transmission to generate conversation and second screen moments. Should brands bring Snapchat into the marketing mix? Do your homework: Know the platform, the audience and learn from the successes and failures of other brands. What is the target audience penetration and how engaged are this segment? What else does it bring to the table – not only against other channels and other popular social networks, but against close rivals emerging such as Instagram’s new service, Bolt? Have clear objectives and strategy: As with all marketing channels there needs to be clear objectives and strategy for the platform which support broader business objectives. What is the business motivation for using the platform? What will the purpose of the account be and the value exchange for followers? How will we judge success? Set in place clear and robust measurement: Understand the metrics which are available from Snapchat, such as open rates and screenshots, and their business value. Many brands are using a combination of modelling techniques and consumer research to effectively bring earned media into the mix and measure value, Snapchat is no different. Define a test approach: Set a defined test and review period and have an exit strategy. Inherent in trying a new platform is the risk associated with building a community and then shutting it down should either results not meet expectations or budgets be cut. Look at ways to set audience expectations by selecting an appropriate campaign or test and the right messaging. With the ever expanding digital and social landscape, over time brands will increasingly need to adopt a more nimble approach to channel strategy and experimentation, which will become easier once earned media is more established in the marketing mix and in marketing measurement. Snapchat is not the first new social platform to make a wave in marketing circles and will certainly not be the last. Sources: Snapchat reports that over 700 million messages a day are sent using the app, but has not released official user or active user figures. Sources and research suggest 30 million active users is a conservative estimate.